The final in my series of the Pokemon evolution from mudkip to marshtomp to swampert and I have writers cramp now from writing all those words! So something different tomorrow, not sure what yet, just have to wing it. 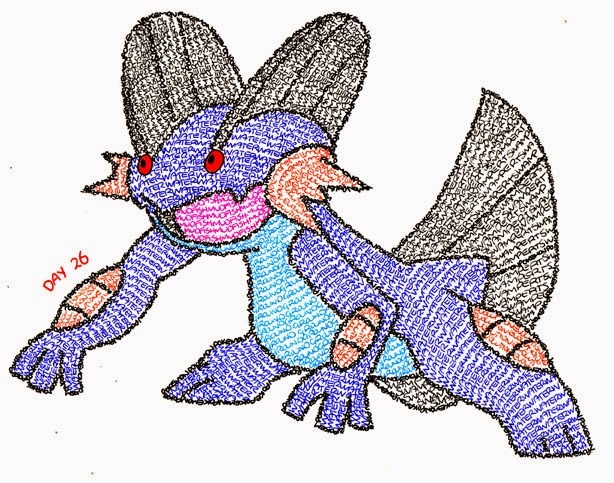 Tried ballpoint pen this time for the colour fills, by using only (except the eyes) the words: pokemon, evolution, water, ground, mudfish and swampert.